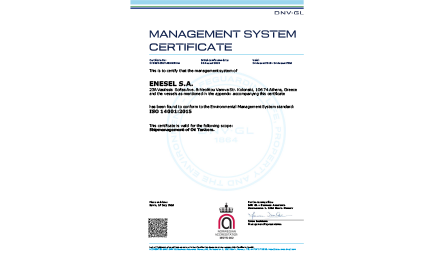 Enesel S.A., as Manager of the M/T Pantelis are happy to announce that vessel’s ownership was transferred today, at 15:45hrs Athens time to Messrs Sense Marine Ltd, while her management transferred to Messrs Thenamaris. 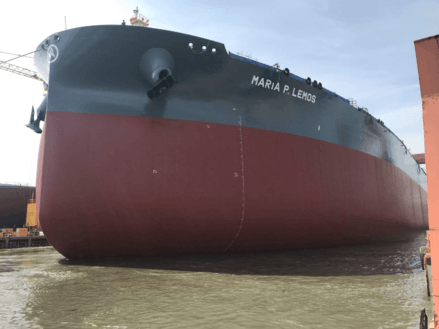 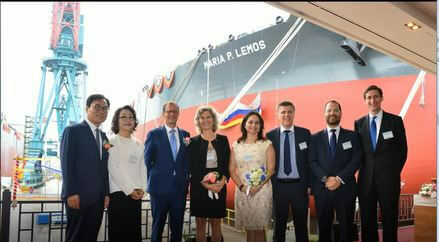 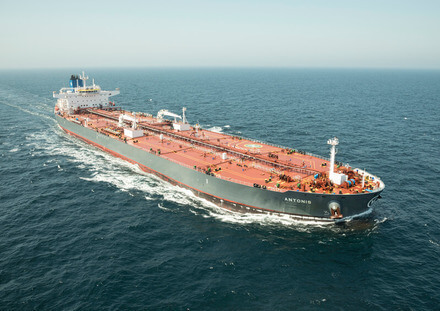 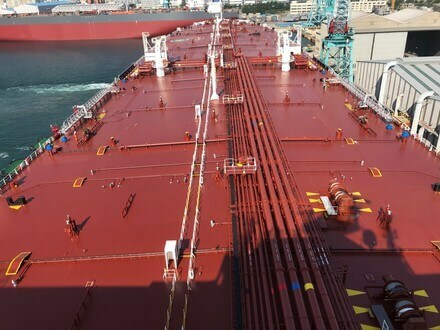 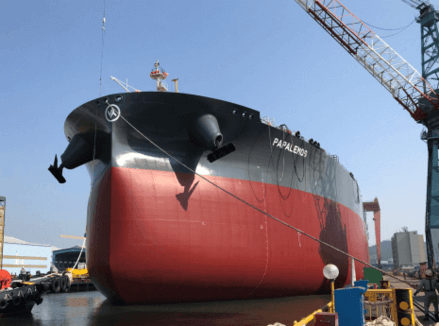 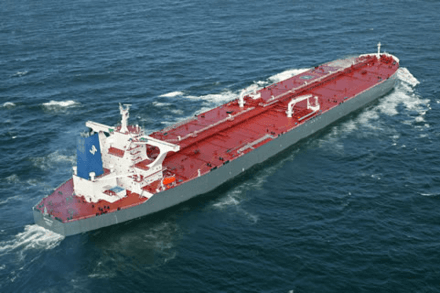 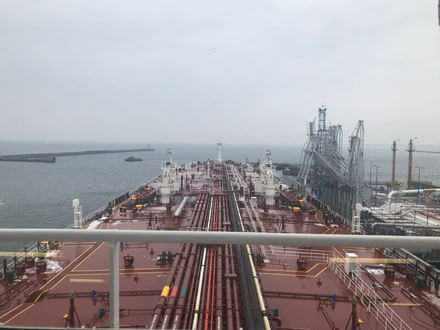 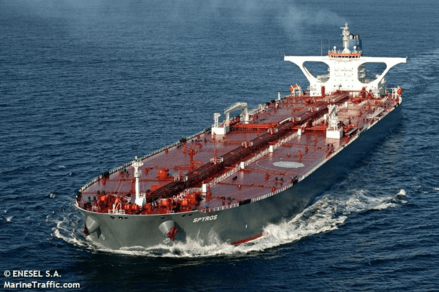 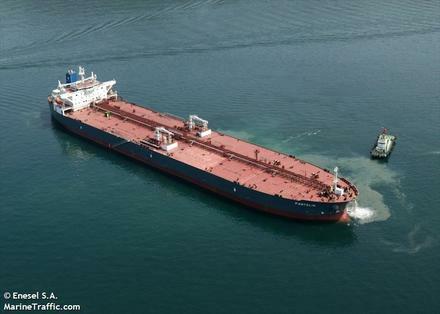 The Owners of crude oil M/T Philotimos (113,364 dwt), Messrs Nefertiti Navigation Inc. delivered ex- Hyundai Samho shipyard the vessel to her Managers, Enesel S.A.
Today, HN 2959 tbn PAPALEMOS was successfully launched from No.1 Dry-dock and safely moored at No. 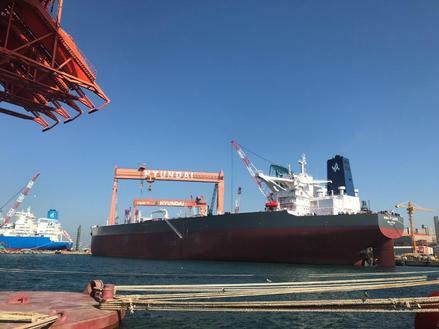 8 Quay of HHI shipbuilding yard. 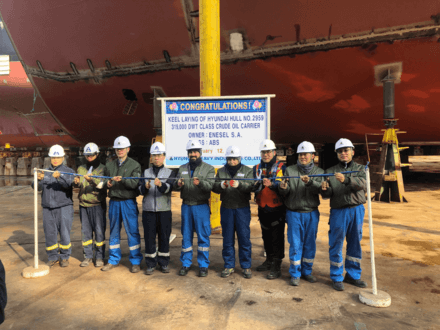 We are happy to announce that Keel Laying of H.N. 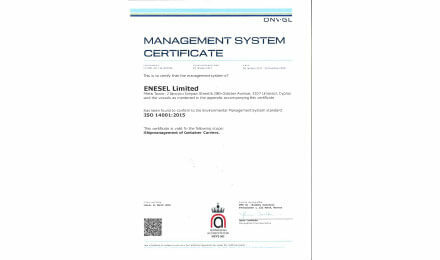 2961 was successfully performed with the presence of Owner’s representatives, Builder as well as Classification Society surveyor. 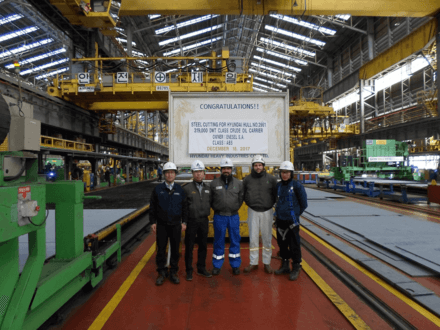 Keel laying of HN 2960 took place in HHI No. 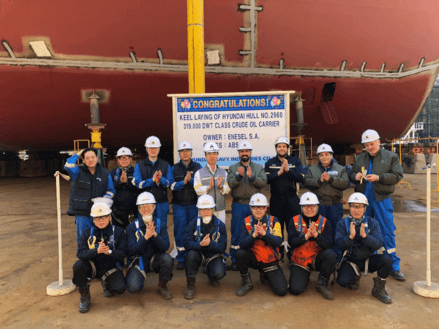 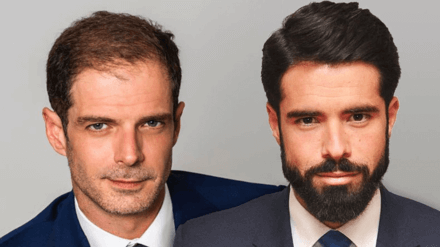 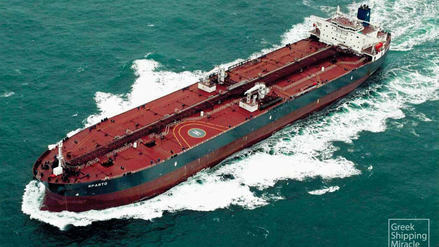 2 Dry-dock with the presence of the Owner, the Builder and the Classification Society. 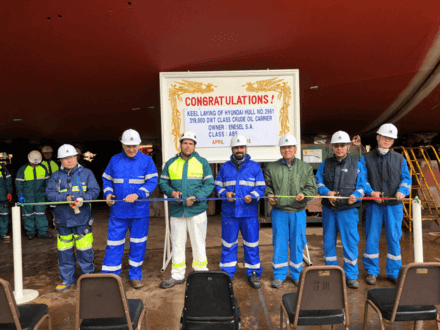 Official steel-cutting of HN 2961 was performed with the presence of the Owner’s representatives, the Builder and the Classification Society.